Lonely Planet has unveiled its list of top ten gay-friendly destinations. The list includes many of the usual suspects, including Palm Springs, Toronto and New York City, plus a few surprises, such as the exclusion of San Francisco. Lonely Planet acknowledged that the inclusion of Montevideo, Uruguay in the tenth spot was controversial, given the region's conservative climate. Editors pointed to Copenhagen's history of gay rights and relaxed beauty in making it their number one destination. 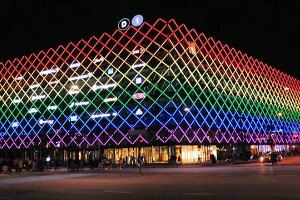 “One of the most tolerant and open communities in Europe, Copenhagen's functional yet edgy fashion scene, brilliant array of cocktail bars, excellent range of gay-friendly boutique accommodation and packed calendar of events make it the gay-friendliest place on Earth,” the site wrote. The Lonely Planet's list of the world's top gay-friendly destinations includes Montevideo, Uruguay (10), Reykjavik, Iceland (9), New York City (8), Skiathos & Mykonos, Greece (7), Berlin, Germany (6), Sitges, Spain (5), Palm Springs (4), Toronto, Canada (3), New Zealand (2) and Copenhagen, Denmark (1).